Stage trekking poles are ready to join you on your next adventure. 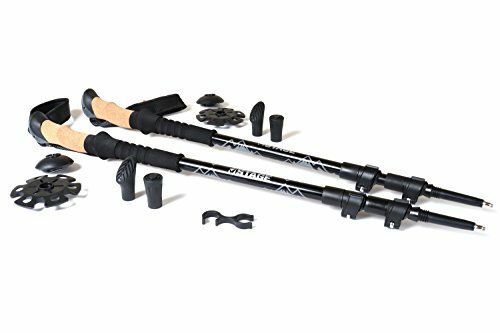 Hiking with trekking poles aids in removing stress from your joints, help with balance and stability, encourages better hiking posture, and can help increase your hiking speed. Stage trekking poles feature natural antimicrobial cork grips with a lower foam section. Cork grips will mold to your hand over time and become more comfortable with use. A foam lower provides another location to grip when hiking on uneven terrain. (Instead of shortening the uphill pole, just grip the lower foam grip). sold in pairs. If you have any questions about this product by STAGE, contact us by completing and submitting the form below. If you are looking for a specif part number, please include it with your message.